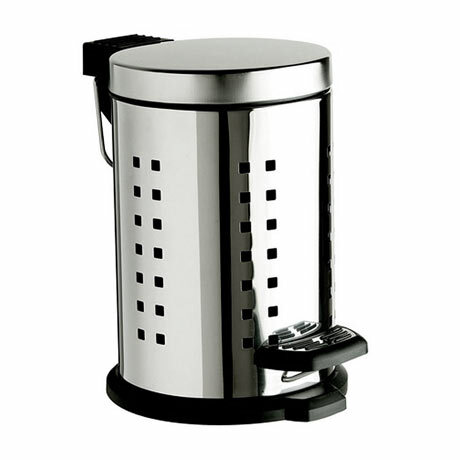 A stylish stainless steel pedal bin with a square cutout design, ideal for any contemporary bathroom. This 3 litre bin is pedal operated and comes supplied with an inner plastic liner. Comes with a 2 year guarantee.